Several hundred people on eBay and Craigslist are trying to sell train tickets to the Pope's visit to Philadelphia for up to $40 -- or four times their face value. Only problem for the sellers: The tickets are not nearly sold out. The city still has about 100,000 left for sale. 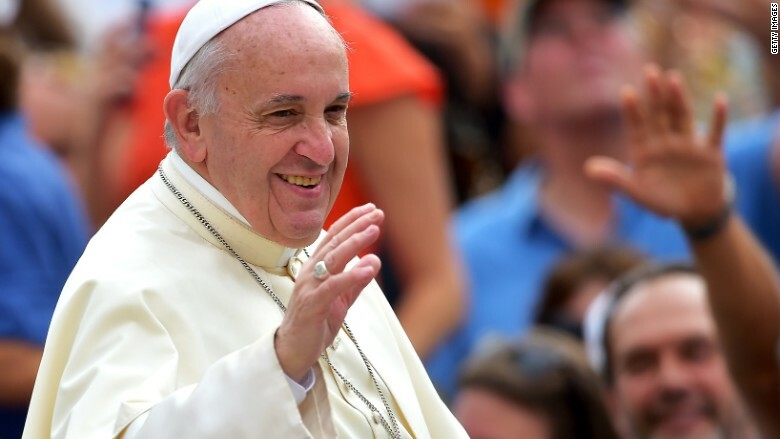 Pope Francis is set to be in Philly on September 26 and 27 as part of his visit to the United States and Cuba. According to a spokesperson for SEPTA, the city's commuter rail line, only about half of the available 200,000 tickets -- selling for $10 each -- have been claimed. The tickets went on sale online on July 20. Almost immediately the SEPTA site was overwhelmed with potential ticket buyers and it had to be taken down because it was running too slowly. Based on the initial response, resellers saw a money-making opportunity and SEPTA went back to the drawing board. It decided to offer the tickets through a lottery as a way to make the process more fair. However, the lottery, which began August 3, was unnecessary because many of the tickets have yet to be claimed. SEPTA figures it can carry 100,000 passengers each day -- roughly four times the usual load during the weekend. The trains will run express and only stop at selected stations. Of the available tickets, 50,000 have been claimed for Saturday and 60,000 have been claimed for Sunday. And SEPTA is wondering what happened to the initial demand. A SEPTA spokesperson urged interested travelers to visit SEPTA's website where they could pay the standard rate of $10 for the ticket.